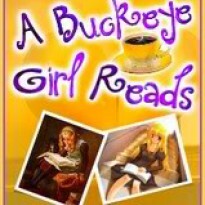 Chloe Neill totally weaved a magic spell around me while I read this book. She writes in such a way that you are able to forget everything around you and just immerse yourself in the world of vampires, werewolves and sorcerers. She creates characters that you can laugh with, cry with and be best friends with. Then there are her heroes. Oh, Ethan how I love you so. How can you be such a jerk and so sigh-worthy at the same time time? There were times I just wanted to smack you silly, and others when I just wanted to hug you! In case you can't tell, I loved, loved, Loved Twice Bitten. This is one series that keeps getting better and better. Like all books in a series, it is super hard to review this book with out giving away spoilers from past books, but I'll do my best. Merit, is one of Cadogan Houses newest vampires, and also their Sentinel-which means she's in charge of protecting not only all the Cadogan Vampires, but its' Master, Ethan Sullivan. In Twice Bitten, Shapeshifters have come across the country to meet in Chicago for a convention, and their leader, Gabriel Keene has requested Merit as protection. Ethan agrees-only as a matter of goodwill, and as a way to get an insider into the pack to find out what's really going on with them. As usual, trouble follows Merit on this assignment. Someone is after Gabriel, and it's up to Ethan and Merit to find out who it is so the fragile peace between the vampires and shifters. 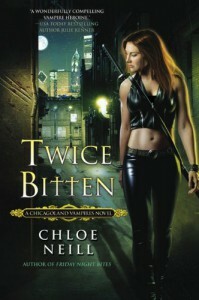 Let me just say that this book is my favorite of the series-it has everything you want in an Urban Fantasy book. For those of you were who are wondering about Chapter 8, yes it's good. So good in fact that I added a new meter in honor of Ethan and Merit: The Ethan/Merit Shiver Meter. Make sure you have some chocolate on hand after you read this chapter! In Chapter 8, everyone will know why I'm on Team Ethan. He shows his softer side...of course in true Ethan form, he does return to his true self, and it's enough to make a girl almost switch to Team Jeff! Ok, who am I kidding? I'm forever on Team Ethan-I can't help it, I have a thing for tortured heroes, however, I did so want to smack some sense into the boy-and Merit as well for that matter. Catcher and Mallory continue to warm my heart-everyone needs a best friend like her! We also learn more about Jeff in this book, and honestly I wouldn't mind a spin off series with the shapeshifters-they were that entertaining. Oh, I almost forgot: We learn Merit's first name, but I'm not giving it away-you have to read the book to find out what it is! Honestly, this is one of the most fun books I've read in a long while. If you've been afraid to start reading Urban Fantasy books for the complex world building-this is the perfect series for you to start with because the world building in these books is brilliantly done, and doesn't take away from the story at all. This book can be read as a stand alone book, I highly recommend reading Some Girls Bite and Friday Night Bites first. 1. Merit's favorite story is that of Tristan and Isolde. Is that a foreshadowing as to how her own story will wind up? Chloe's answer was this: Sorry--that one's a spoiler, too! I will say that I include very few random red herrings in the novels, so if something's in there, there's usually some reason. I don't know why, but I couldn't get that statement out of my head-darn you, Tasha for making me think about deeper meanings in story lines. After all this, I just have one thing left to say: how long of a wait until book four, Hard Bitten comes out?? ?